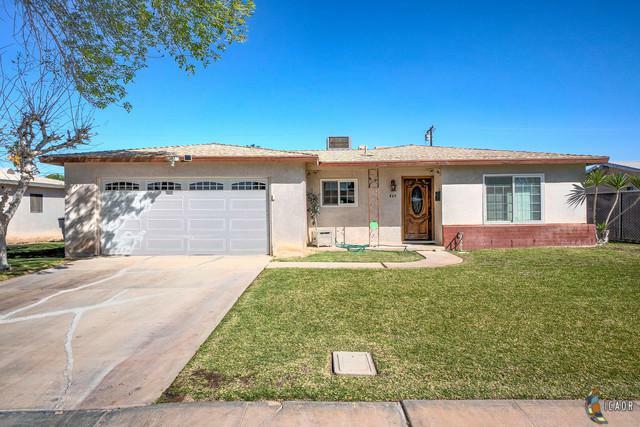 This well maintained 3 bedroom, 2 bathroom, 1134 sq ft home sits nestled within Brawley's Northwest side. As you enter the home you will find that the homeowners have kept this home in great condition, starting with the laminate flooring that is found throughout the home except for the bathrooms. 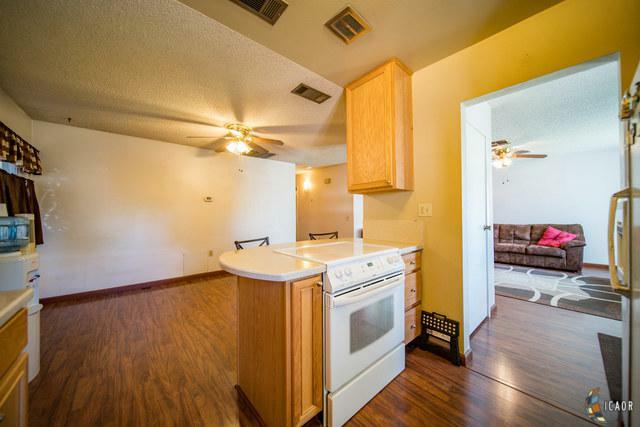 You will also find a sizable dining area which is open to the kitchen to give the open floor plan feel. 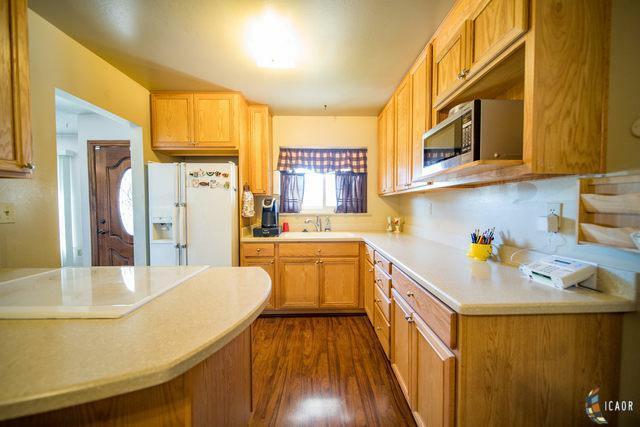 Continuing through the home, you will find the kitchen has been updated within the last 10 years as there is newer cabinetry which has corian countertops. Currently there is an electric stove, but there are already gas hookups established at the home. As you make your way from the dining area / kitchen, there is garage access which offers a 2 car garage and continuing to the backyard you will find a covered wood patio off of the West side of the home. 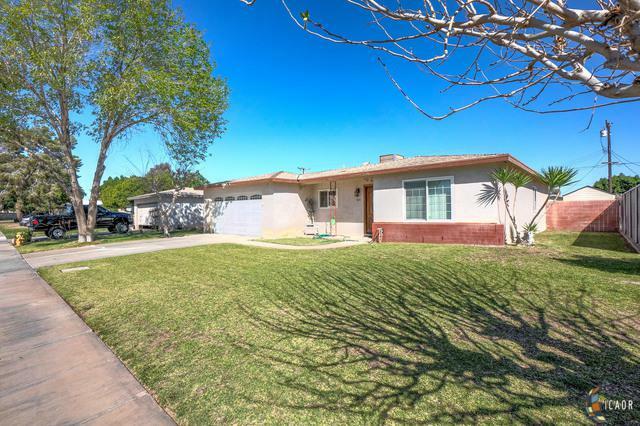 This home sits on a 7,840 sq ft lot, so with the patio being on the side makes for a much bigger yard! This home has alley access too!